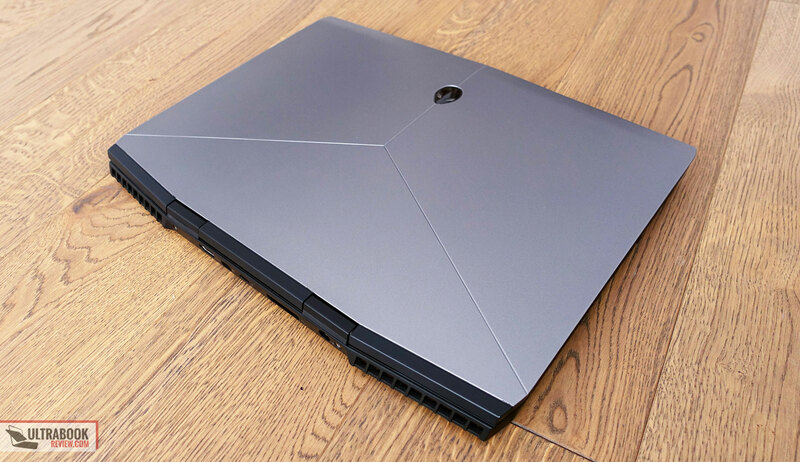 Summary: The Alienware m15 builds on top of the popular Alienware 15 series into one of the most compelling compact gaming laptops of the moment. It's not as small or as light as the competition, but is well built and offers the build quality, the screen options, the performance, the IO and the battery life you'd expect from such a computer, while remaining competitively priced. This is not without its share of flaws though, and even some potential deal-breakers, and we'll talk about all these aspects throughout the comprehensive review below. 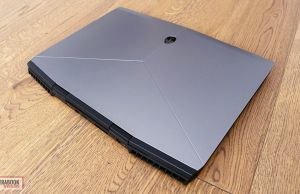 For years Dell’s Alienware has been the brand-name most enthusiasts associated to gaming computers, either desktop PCs or laptops. 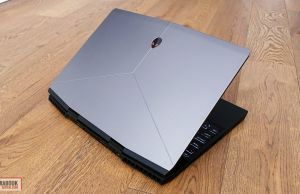 Things have changed these days, with all the other major OEMs offering gaming devices now, but even so Alienware machines stick towards the top of buyers’ preferences lists. 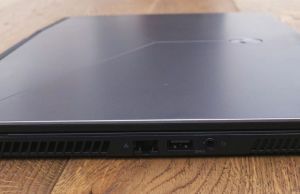 In this article we’re discussing the Alienware m15, the late-2018 update of Alienware’s popular 15-inch gaming notebook. 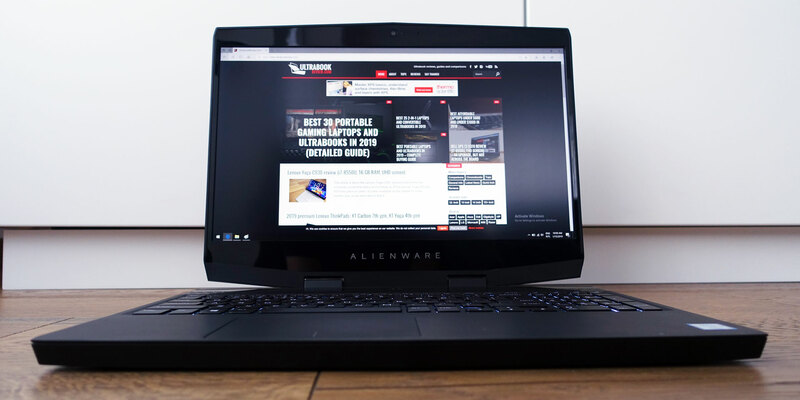 This is a complete redesign of the bulky Alienware 15 available in the past, with a smaller profile, lighter-weight, different screen options, a different keyboard and a complete internal overhaul. 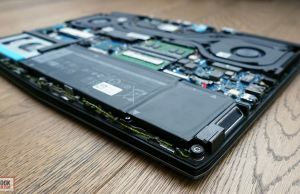 It’s meant to be a more compelling option in today’s market dominated by the many capable thin-and-light gaming laptops, but down-scaling is tricky and comes with both benefits and shortcomings. 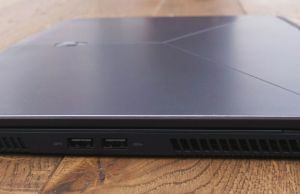 We’ve spent the last three weeks with a higher-specked version of the Alienware m15 and gathered all our impressions below, with the strong points and the various quirks you should be aware of if interested in one of these. 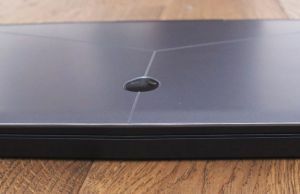 Compared to the Alienware 15 R4, the m15 is thinner, lighter and an overall smaller computer. At the same time though the Alienware m15 still remains fairly chunky compared to the other thin-and-lights with similar specs available these days, like the MSI GS65 Thin, Razer Blade 15, Gigabyte Aero 15x or the Asus ROG Zephyrus S, among others, and you can tell that by the bezels around the screen and the overall footprint, with a hexagonal shape and a hump at the back. 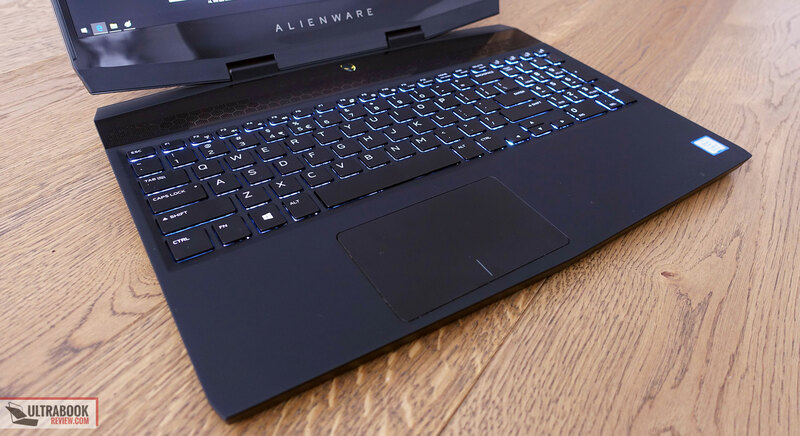 Alienware laptops have been historically built like tanks, and fortunately the m15 doesn’t strain far from the path. There’s a bit of flex in the lid and keyboard-deck with this updated version, but overall it remains one of the sturdiest devices in its class. 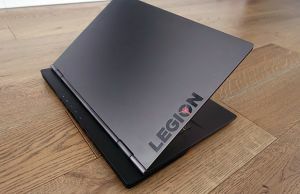 It doesn’t necessarily feel premium though, like the metal made ROG Zephyrus or Razer Blade, and that’s due to the choice in some of the materials used for the case. 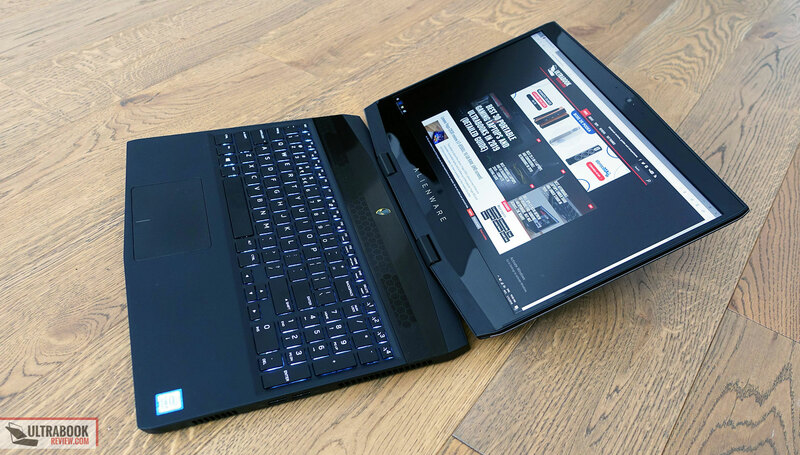 Magnesium alloys are used for the lid-cover and the bottom-chassis of the Alienware m15, while the interior is made out of plastic, the soft rubberized kind on the arm-rest and around the keyboard, and the shinny glossy kind around the screen and at the top of the keyboard. The latter looks cheap, especially as it also reflects light in an annoying way, but the softer finishing looks and feels professional. Both of them show smudges and finger-oil easily, so you’ll constantly have to wipe them clean, and the glossy parts also scratch easily. 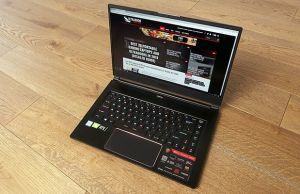 As a side note, Dell offers this laptop with either a silver or red exterior, much like with the previous generations. We have the silver model here, but the red one actually looks nicer and is the one we’d consider, as long as a red laptop is accepted by your work place/school. As far as the design goes, the m15 builds on the older 15 model and keeps most aesthetic lines and accents, like the alien heads on the lid and in the power button, or the branding beneath the screen. Both alien heads are RGB backlit and can be customized from the Alienware Command Center app; the one of the lid can also be switched off if you want to, while the Power button cannot. 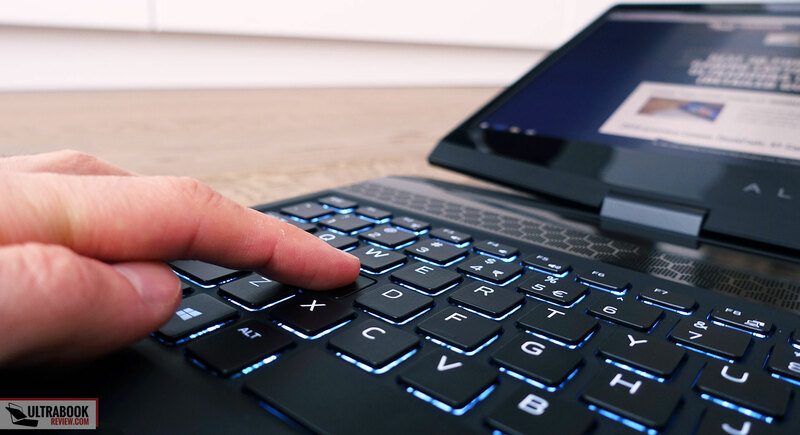 The clickpad on the other hand is no longer backlit, like the on Alienware 15, as both the clickpad and the keyboard were completely redesigned, and we’ll address them in the next section. When it comes to practicality, there’s little to nag about, except perhaps for the smudgy surfaces mentioned earlier and the fact that the front lip and corners are very sharp and will cut into your wrists if you’re using the laptop in cramped spaces without proper arm-support. 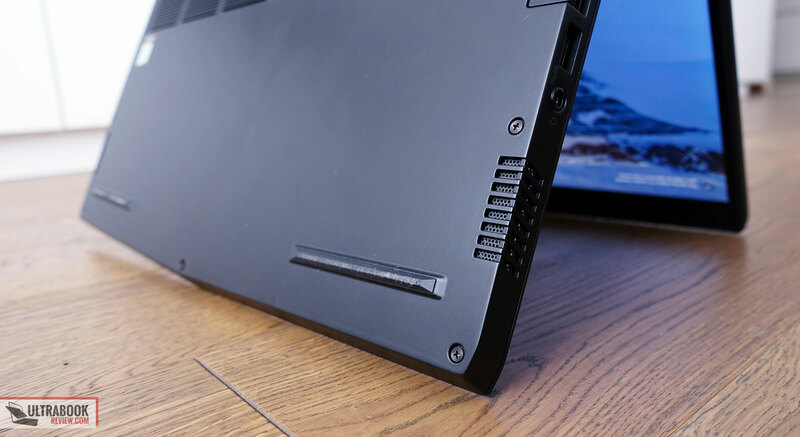 That’s not going to be a problem if you keep it on a spacious desk, but it is something to keep in mind nonetheless, especially since that front profile is higher on other modern laptops. This aside, this feels great with daily use. It’s strong and doesn’t creak when grabbed and thrown in a backpack, the hinges do a good job at keeping the screen as set-up and allow it to lean back to almost 170 degrees, the rubber feet on the bottom are fairly grippy and the ports are conveniently placed around the sides and especially on the back, placing cables out of the way. Those hinges are perhaps a bit stiff though, as you’ll need both hands to lift up the screen, but I’d rather have them stiff than too weak. The IO includes everything you’d want on such a laptop, except for a card-reader. 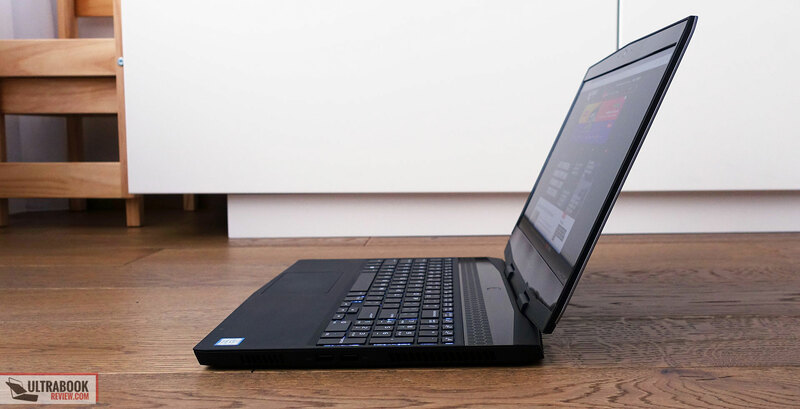 There are three USB ports, LAN, HDMI and miniDP for video output, an USB-C slot with Thunderbolt 3 support and a connector for Dell’s Graphics Amplifier. Most of them are conveniently placed on the back edge, but the LAN slot is on the left and might bother some of you if you decide to hook this up to the Internet via wire. 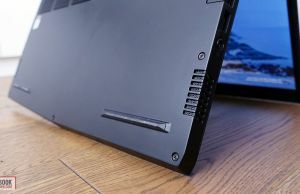 All in all, I actually don’t mind that the Alienware m15 is not as compact or light as some of the competition, and I can even accept those thicker bezels for the sake of having a sturdier build device with hopefully more internal space for components and cooling (we’ll talk about it later on). 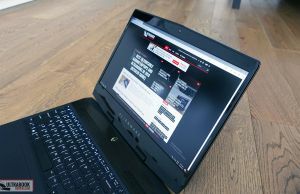 Those pesky sharp front-edges and especially that appalling cheap glossy plastic around the screen, well, those have no place on such a computer, in fact in no modern computer at all, and I sure wish Dell would have gone with different choices there. 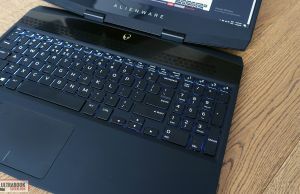 Gone are the classic-styled Alienware keyboard and the backlit touchpad with physical buttons of the Alienware 15, which were replaced with a chiclet-style keyboard and a regular plastic clickpad with integrated clicks. The layout is pretty standard, with a well spaced main-deck of keys, well spaced arrows and a narrower NumPad section. There are no dedicated keys for PgUp/PgDn, but you do get four customizable macro keys at the top. 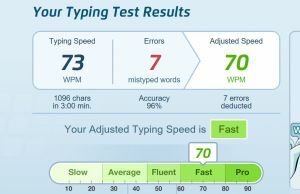 The keyboard also feels much like the others available on modern thin-and-light laptops, with short travel, at 1.4 mm, and abrupt actuation. 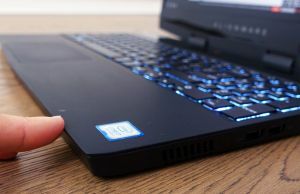 Alienware users will probably have a hard-time adapting to its shallower feedback, but if you’re coming from an ultrabook you will probably like it, as the tactile response is quite precise and a little better than on the Blade 15. 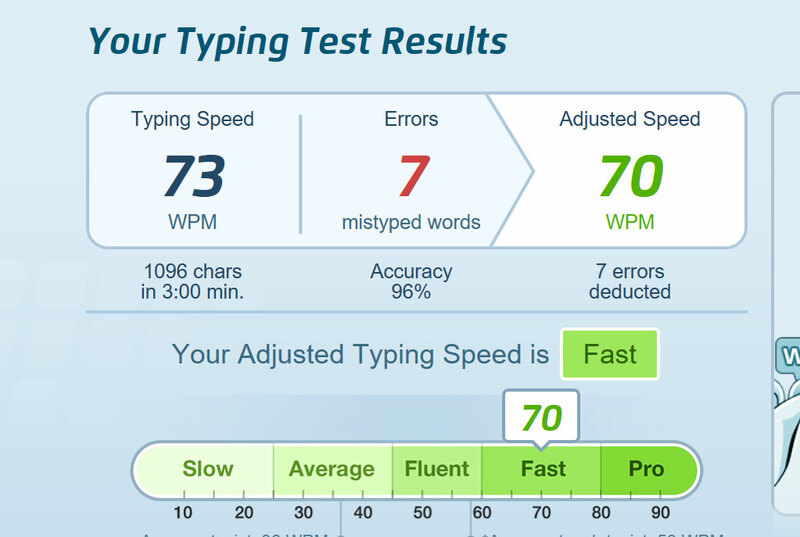 This keyboard is also fairly quiet, but at the same time also slower than other implementations, at least for me, as I couldn’t get above 75 wpm even after getting used to its feedback. This also doesn’t get per-key backlighting, but only 4-zone RGB illumination. You can tweak it out in the Command Center, and Alienware went with some bright LEDs, but there’s no way to adjust the intensity via keyboard shortcuts, you can only activate or disable the backlighting with Fn+F12. The clickpad works fine and its plastic surface feels much like the one on the older Alienware 15. 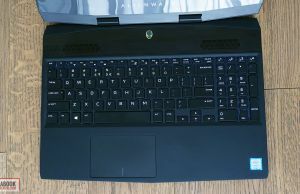 It is however on the small side and lined beneath the Space key, towards the left, not in the center of the laptop. The physical clicks are also stiff and clunky, so overall this clickpad is good-enough for occasional use, but not one of this laptop’s strong points. 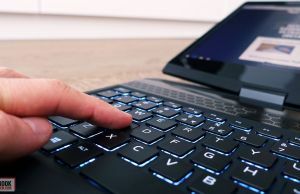 There’s no finger sensor on this laptop and no IR cameras either, so you’ll always have to input your password in order to log-in, which feels obsolete after experiencing the convenience of biometric logging options. 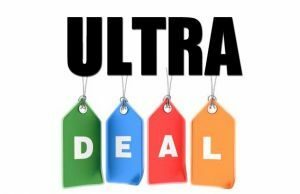 Dell offers this laptop with either FHD 60 Hz/144 Hz or an UHD 60 Hz screen. We had the latter on our review unit, but I would absolutely advise going for the faster FHD 144 Hz option if you’re getting this laptop for gaming. Here’s what to expect from that one. The higher refresh rate and lower resolution are more appropriate for the hardware inside this device, especially since the UHD screen is not as good as on some of the competitors. 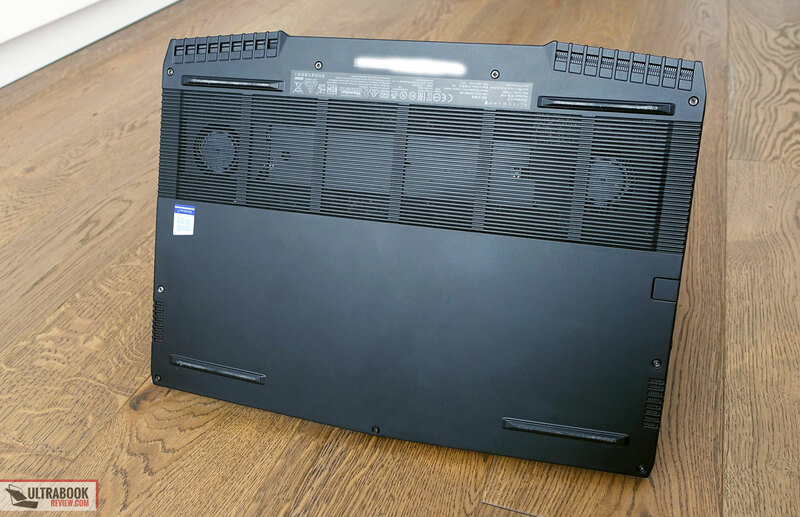 It’s in fact the AU Optronics B156ZAN panel that’s also used inside the Inspiron 7577. Dell advertises it as a 400-nits UHD screen in the official literature, but I couldn’t get it to work properly on this sample, which is a pre-production unit and not the final retail model available in stores. 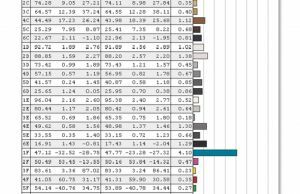 Long story short, this particular implementation was dim, only capable of roughly 220-nits of max-brightness. 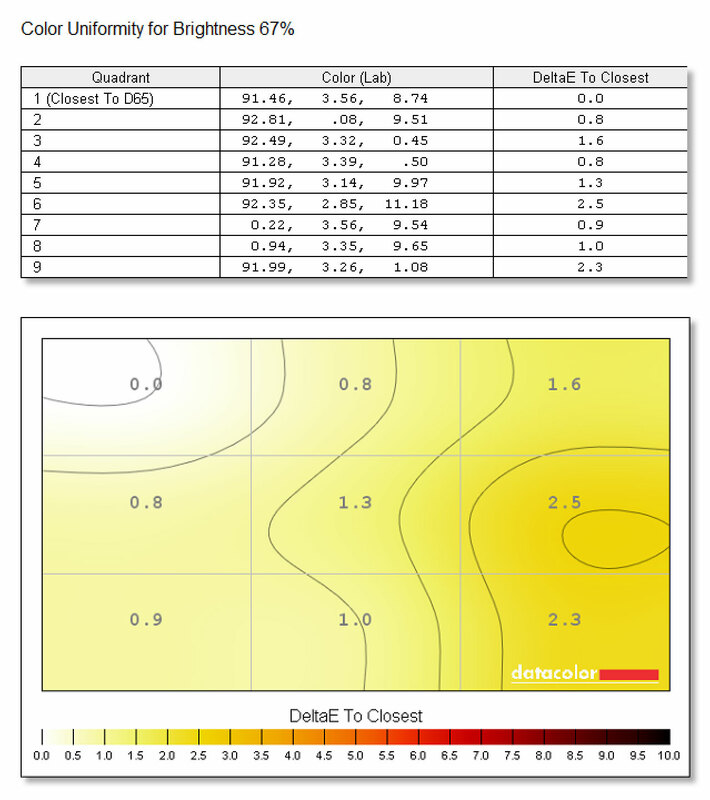 I’m aware of the various brightness issues reported for Dell laptops over the years. On some, the problem would be addressed by disabling “Power Saving Technology” in the Intel HD app, but on others a BIOS update is required in order to fix it, and while I was running on the latest BIOS version/drivers on our sample and tried a couple of suggested tweaks, I just couldn’t get this screen to reach its potential max brightness. Some people complain about low-brightness for the UHD panel options on the forums, but there are not other detailed reviews that actually measure peak brightness, so I can’t tell if this is a widely spread issue or just a defect of our test-unit. 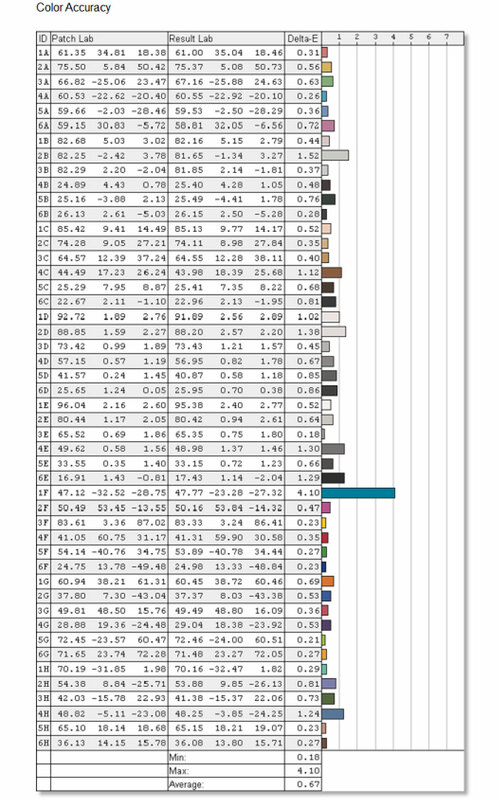 I do have to stress out that our sample was pre-production, so retail models should get brighter screens. Nonetheless, make sure to check for max-brightness on your unit once you get it, just to make sure you didn’t end up with a similar flaw. 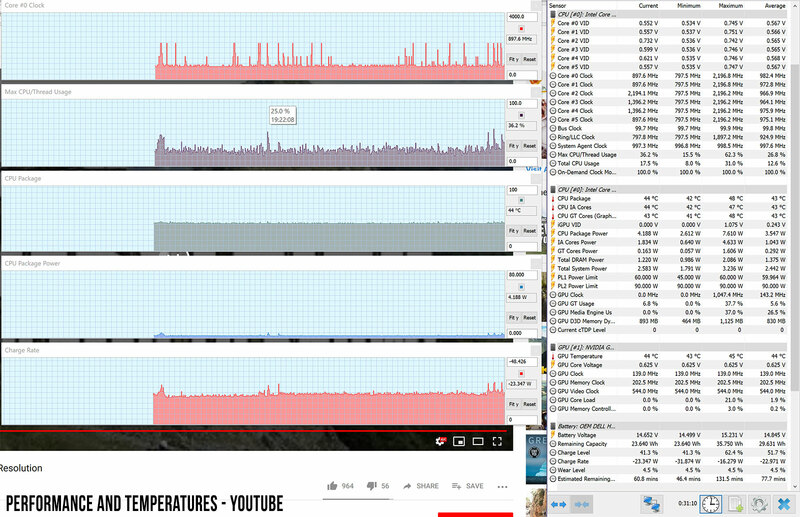 Here’s what we got with our sample, and here’s what the panel is actually capable of (in a different Dell laptop). 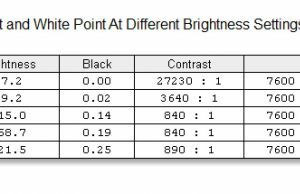 Black on max brightness: 0.25 cd/m2. 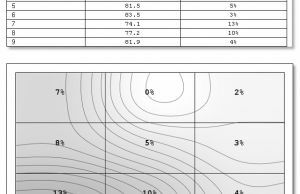 This panel was also poorly calibrated out of the box, but we managed to tweak the skewed Gamma, White Point and Gray levels with this calibrated profile. 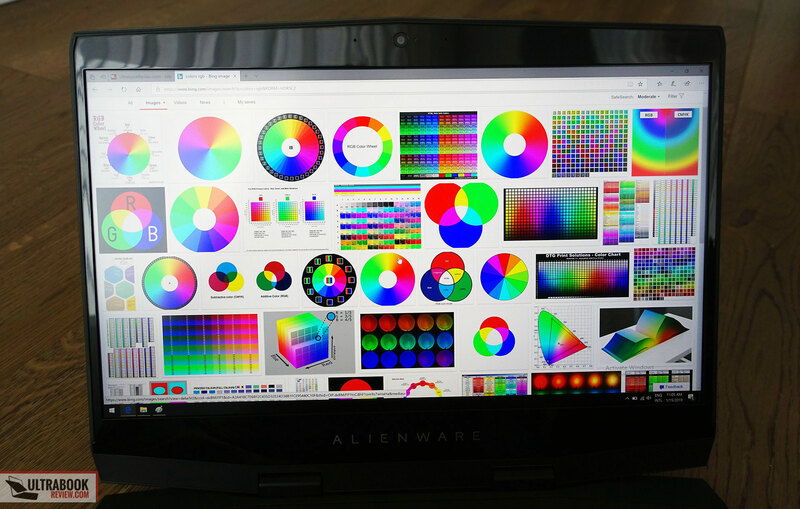 All in all, I can’t draw final conclusions based on our sample, other than the fact that this is not the right screen to get on a gaming laptop anyway and I’d go with the 144 HZ FHD panel instead. 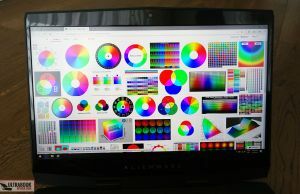 On top of that, if you absolutely have to get a gaming laptop with an UHD screen, there are actually better options out there, like the 100% AdobeRGB panels in the Gigabyte Aero 15 or Razer Blade 15. 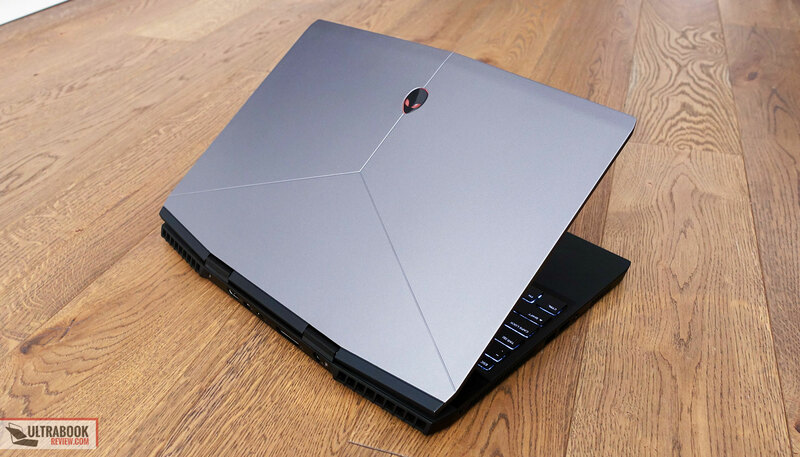 Our test unit a mid-tier version of the Alienware m15, with the Core i7-8750H processor, 16 GB of DDR4 RAM, Nvidia GTX 1070 Max-Q graphics and dual storage, with a 256 GB Intel 760p SSD and a 1 TB spinning HDD. 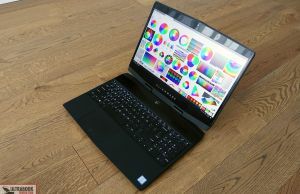 The Intel HD eGPU within the processor is also active, and Optimus should make sure you’ll get some decent battery life with this laptop when not playing games. Speaking of that, Dell offers the m15 with either a 60 Wh battery and a 2.5″ HDD cage, or a 90 Wh battery. We got the former variant here, but I would suggest going with the latter, since there are also two M.2 storage slots inside and the extra battery capacity is much welcomed with daily use. Most of the components are easily accessible and replaceable. For that you’ll just have to remove the magnesium bottom panel, hold in place by a handful of Philips screws, all visible on the bottom and on the rear-edge. Inside you’ll get access to the storage slots, memory DIMMs, wireless chip, battery, speakers and cooling system, and removing the cooling in order to repaste the CPU/GPU should be fairly straight-forward as well, but make sure you know what you’re doing and be aware this will most likely void warranty in most regions. 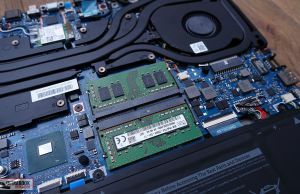 Nonetheless, you might actually have to do it if you want to get the best performance out of this laptop. 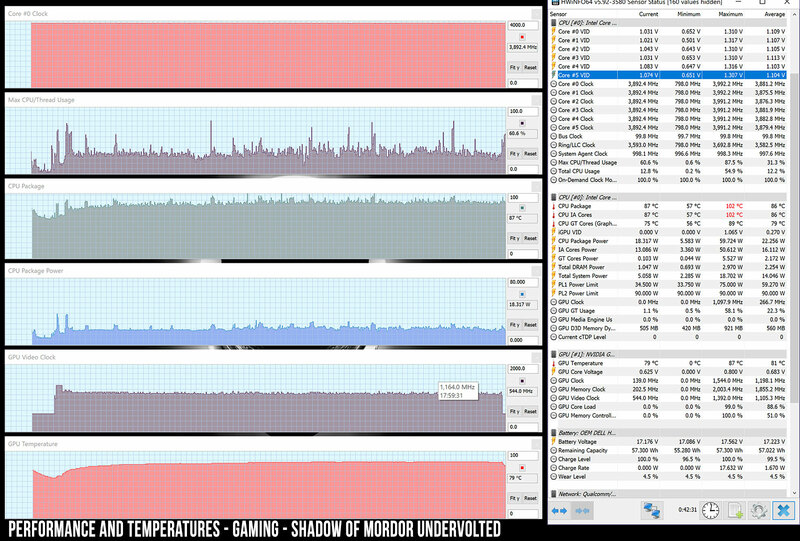 Before we get to that I will mention that this handles everyday use without any effort, while running fairly cool, but at the same time the CPU’s fan never switches off. 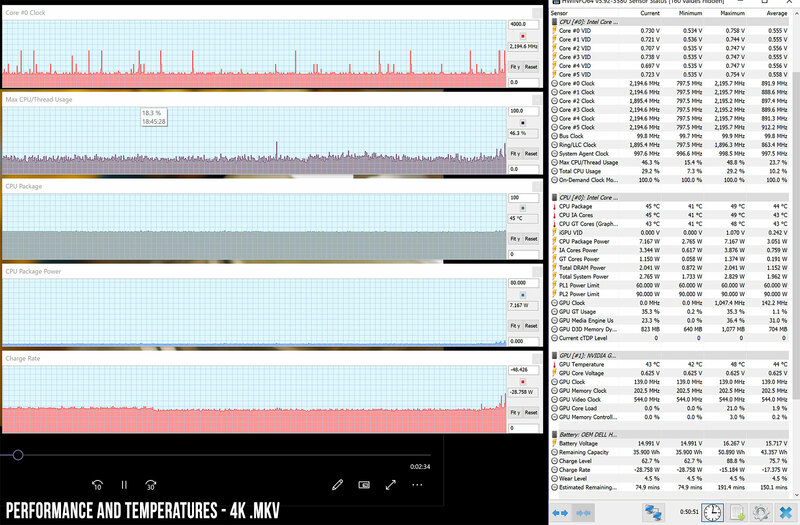 The Alienware Command Center offers the ability to customize Performance and Thermal profiles, and you can in fact manually set the fans to 0 rpm, but even so the CPU fan never switched beneath 52% on our sample. 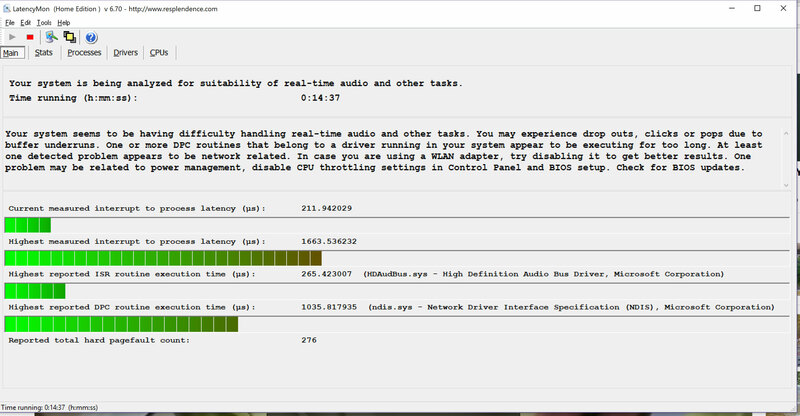 It’s not noisy at this level be any means, and it doesn’t ramp above 52% with regular use and multitasking, but you’ll hear it in a quiet place, which means that this laptop never runs truly quiet. However, it’s important to consider the fact that our review unit is not a final retail model, but a pre-production sample, and other reviews mention that the fans will both idle with daily use. As far as performance in demanding loads goes, we’ve switched the Power to Max Performance and Thermal to Performance and then proceeded with our tests. 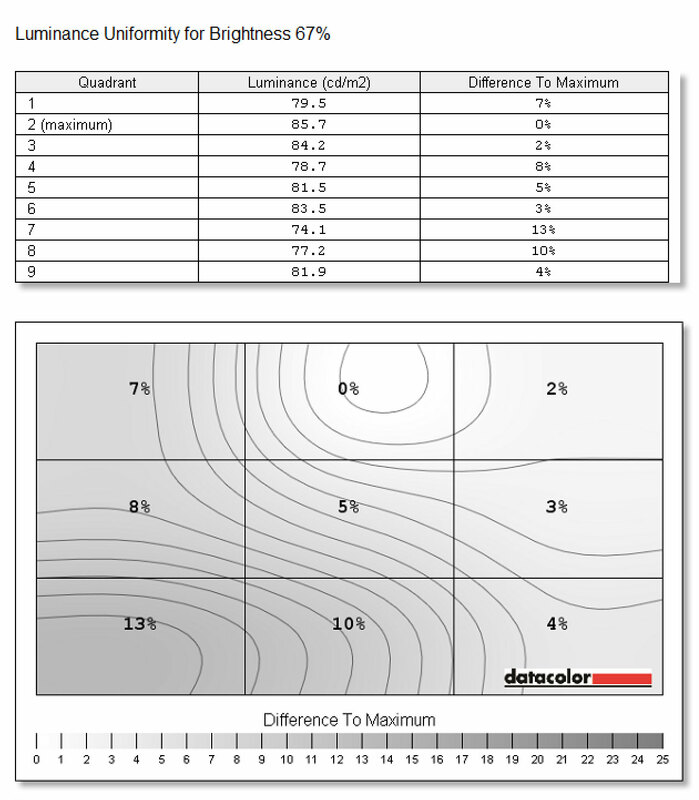 This does cause the fans to spin fast and loudly, so I would usually advise sticking to the Balanced profile with actual use, but we went with this approach in order to test performance in demanding loads. 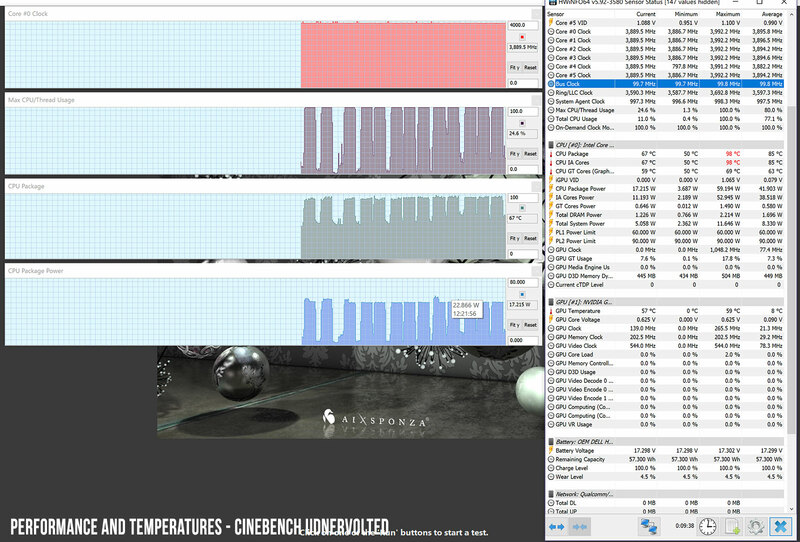 First of all we test the CPU’s behavior in 10+ concurrent runs of Cinebench R15, which loads all Cores to 100%. 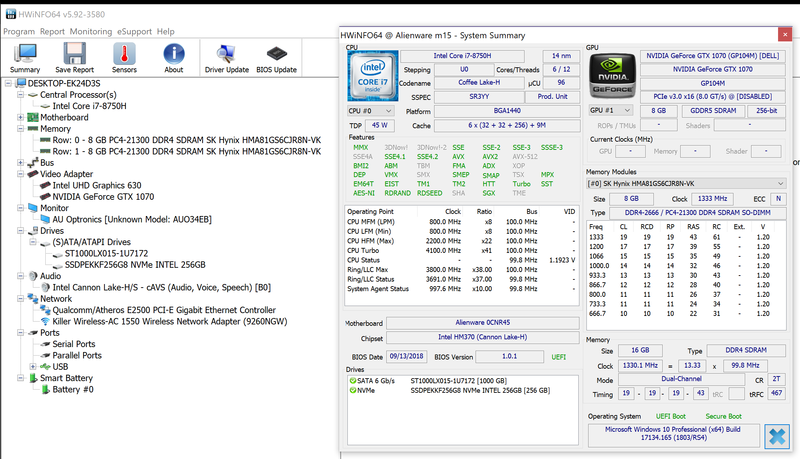 Out of the box, the i7-8750H in our sample stabilizes at about 55 W TDP and 3.5-3.6 GHz, which translates in scores of around 1120 points after several runs. 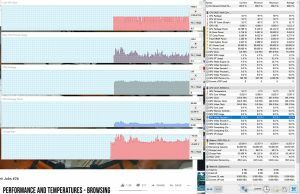 That’s better than most other i7-8750H laptops are capable of out-of-the box, but is made possible by keeping the CPU at high temperatures of 96-97 degrees Celsius. Details below. 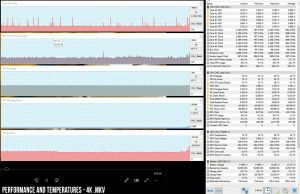 Next we undervolted the CPU at -150 mV, which translates in pretty much flawless performance, with the CPU maintaining its peak Turbo speeds of 3.9 GHz for the entire duration of the test, with scores of around 1180 points, a TDP of 52W and temperatures of 94-95 Celsius. 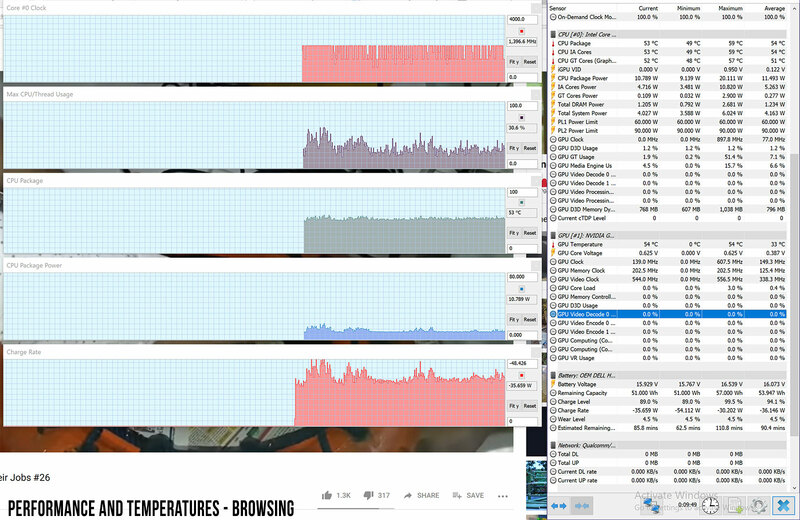 In conclusion, undervolting helps the Alienware m15 deliver excellent performance in CPU intensive loads, albeit that comes with high internal temperatures and loud fans. Keep in mind our unit is pre-production, thus final retails versions might run a little cooler. 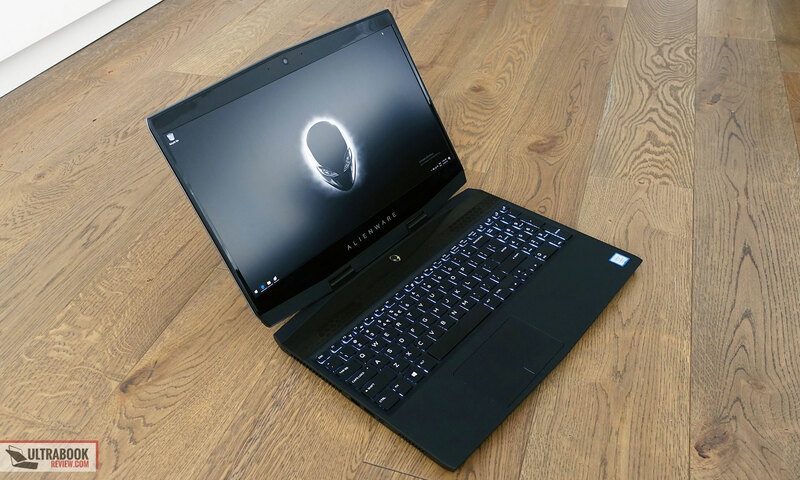 However, based on the other reviews and user impressions out there, the Alienware m15 simply runs hot with demanding tasks and games. 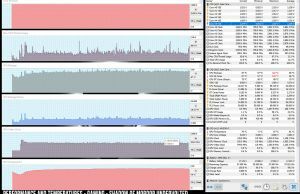 x264 HD Benchmark 4.0 32-bit: Pass 1 – 208.72 fps, Pass 2 – 72.23 fps. 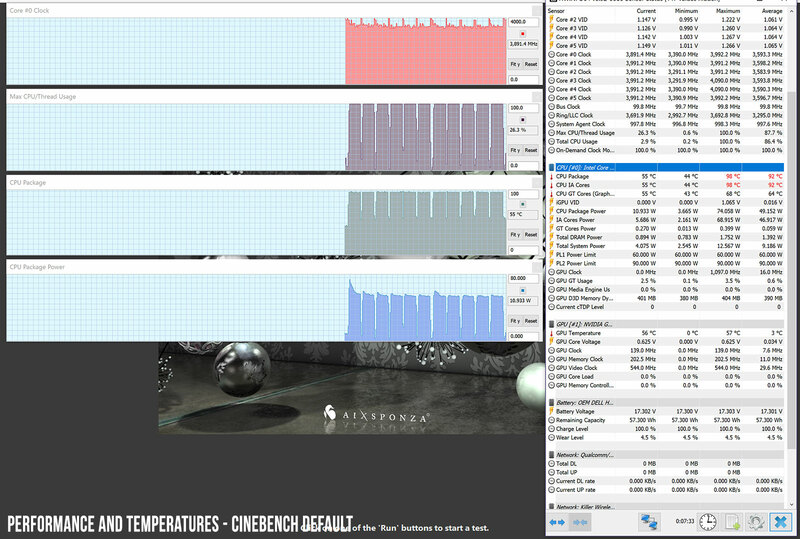 x264 HD Benchmark 4.0 32-bit: Pass 1 – 209.61 fps, Pass 2 – 76.87 fps. 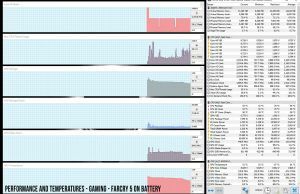 As far as gaming goes, we’re happy with the performance for the most part, but both the CPU and GPU run hot, which translates in a couple of aspects you should be aware of. 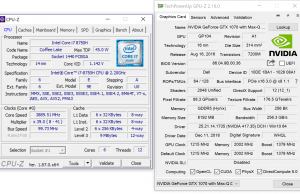 For starters, the GPU cannot run at its Maximum Turbo frequency for long and stabilizes at around 1200 MHz on our sample, which is close to its stock Clock speed. 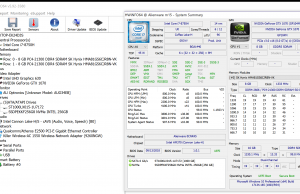 The CPU on the other hand ran well, especially once undervolted, never dropping beneath its maximum Turbo Clock of 3.9 GHz. Here’s what we got in some games. Running games on battery caps down the frequency of both the CPU and the GPU, as you’ll see in one of the pictures above, so make sure you’re plugged in when gaming. 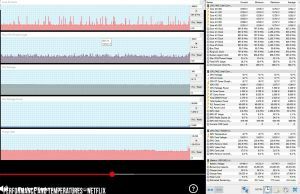 We’re going to mention once more than our unit is pre-production, so we’re not going to get more in-depth with the gaming performance, especially because this other review of a final-model mentions increased performance and lower GPU thermals during gaming. 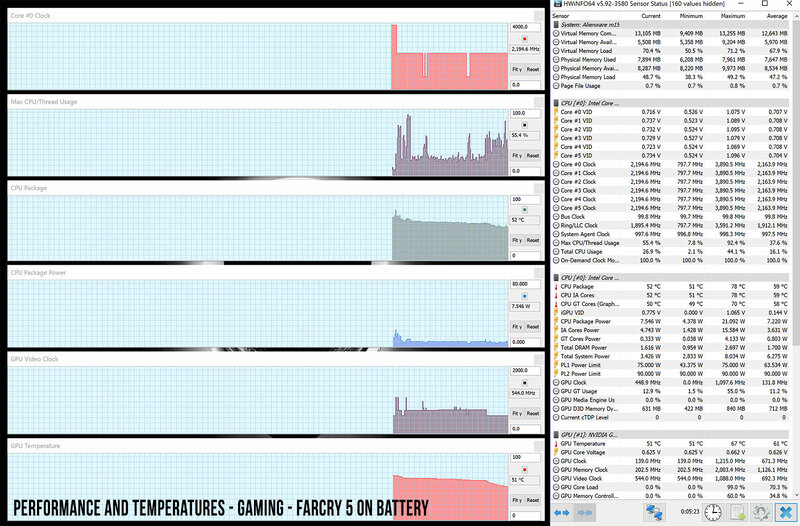 In conclusion, I’d expect final Alienware m15 models to run slightly better and cooler than our review unit. 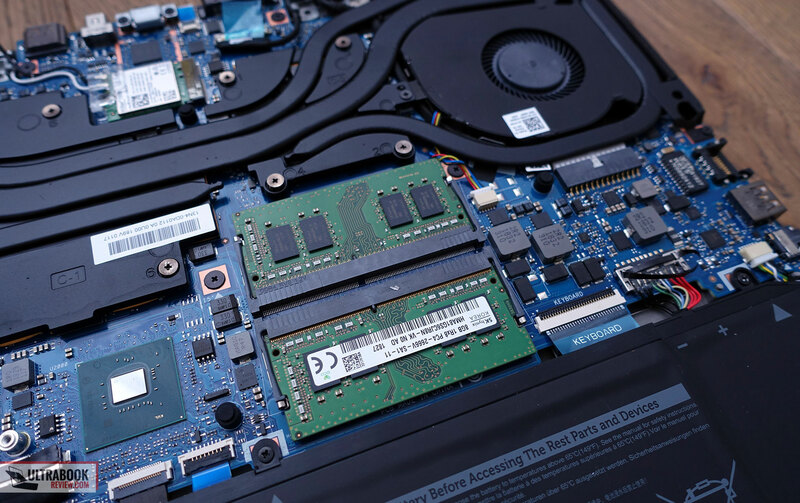 Alienware redesigned the internals of the m15, including the cooling system, as you can see below, which uses a fairly complex system of heatpipes and two 45 mm fans surrounded by heat-sinks on two sides. The laptop runs quiet with daily use. 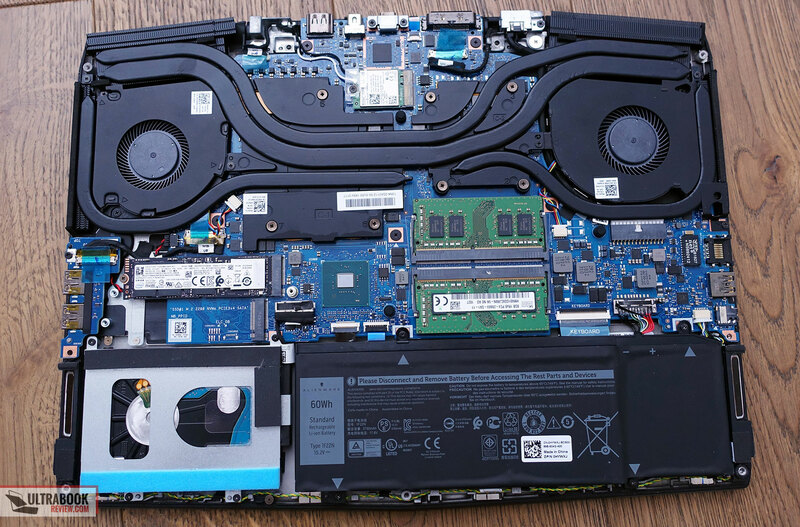 The CPU’s fan never shut off with daily use on our review unit, but other articles mention that both fans remain idle with daily use, so this laptop will run quiet. I didn’t notice any coil whine on our sample, but that’s no guarantee you won’t get any on your unit. In fact, others reviews mention some coil whine. 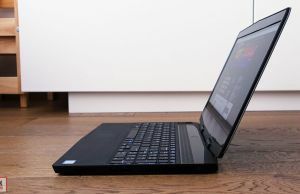 The two fans do ramp up with demanding loads and games, reaching about 50 dB at head-level, which makes them fairly noisy for a Max-Q implementation and noisier than on the Razer Blade 15 and a few other competitors, but quieter than on the Gigabyte Aero 15. 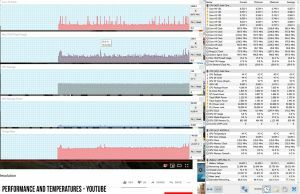 Despite that, the case runs hot, certain areas on the bottom and above the keyboard reaching temperatures in the mid 50s Celsius. Final models run a little cooler than our test unit, but still go above 50s towards the back side, on top and below the components and heatpipes. 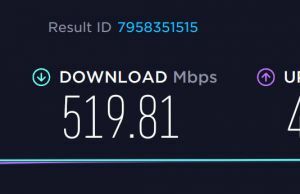 For connectivity there’s Gigabit Lan and Wireless on this laptop, via a Killer 1550 chip with Bluetooth 5.0. 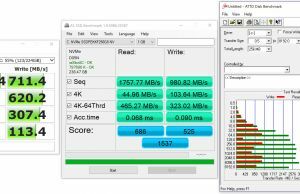 That’s a fast chip when working properly, however it doesn’t out of the box. We installed the latest drivers, but even so we couldn’t get a consistent experience without disabling the Killer process after each restart. 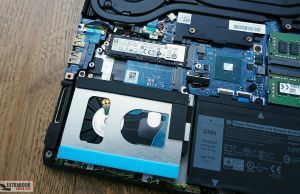 This is another know-issue with Dell laptops, and it seems like it wasn’t totally addressed on the Alienware m15 either at the time of this article, although there are solutions that have worked for some buyers. There’s a set of speakers on this laptop, firing through grills on the edges. They’re loud, peaking at about 80 dB at head-level, but the audio coming out of them is rather lacking, with very little bass and unconvincing mids as well. Opening the laptop you’ll in fact notice the small-size of the speakers inside, so their lack in quality comes to no surprise. The camera on the other hand is pretty good, even in low light, as Dell went with a fair-quality FHD sensor, as opposed to the HD cam on most other laptops. 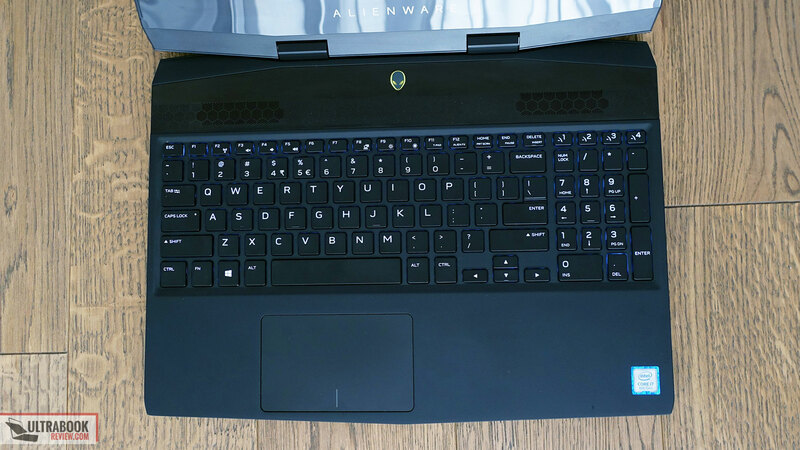 As already mentioned above, the Alienware m15 is available with either a 60 or a 90 Wh battery. 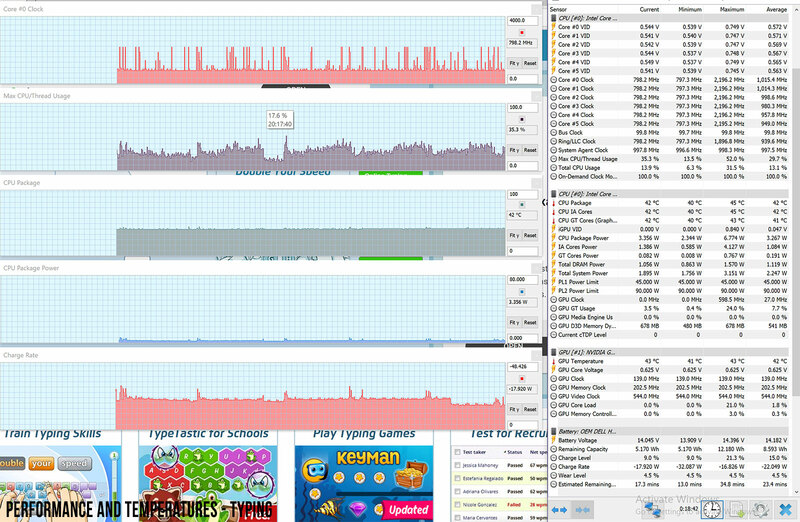 We got the former, which paired with the UHD screen resulted in very poor battery-life in our standard tests. Here’s what we got, but keep in mind that our implementation is pre-production and we also had to pump-up the brightness in order to reach 120 nits, so I would expect final models to run more efficient. 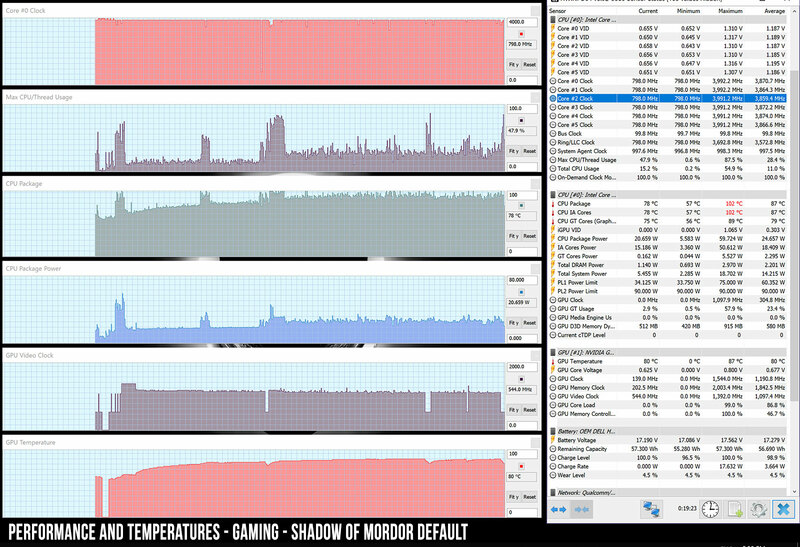 65 W (~50 min of use) – Gaming – Shadow of Mordor, Maximum Performance Mode, screen at 70%, Wi-Fi ON. 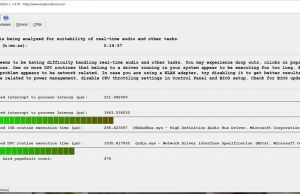 This other article tests the battery life on the the FHD screen configuration with the 90 Wh battery, the one we’d recommend to most of you on this laptop. 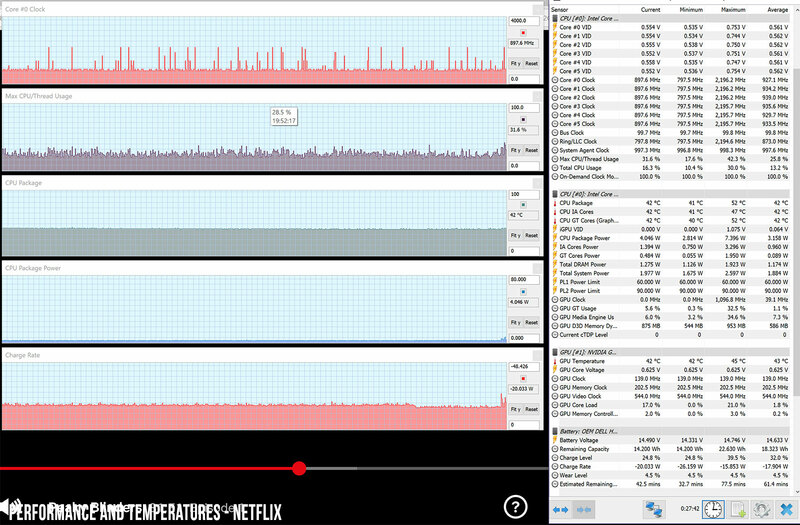 7-8 hours of video and 5-6 hours of daily use are not bad for this kind of a computer, and due to its larger battery the m15 will outlast most of its competitors (except for the Gigabyte Aero 15x), as long as you opt for this screen/battery configuration. Our model was bundled with a 180 W power brick, still fairly chunky, but actually smaller and lighter than the similar capacity options used by some of the other OEMs. A full charge takes about one a half hours. 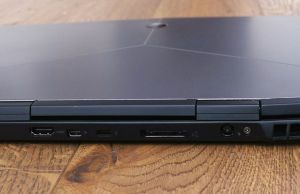 The 180 Wh charger is barely powerful-enough to keep up with the hardware’s demands while running games and others demanding CPU+GPU loads, but the battery does not discharge while plugged in, which means that the energy-demands don’t peak above 180 W.
The Alienware m15 is available in stores all over the world at the time of this article. It starts at around $1400 in the US, but that’s for a Core i7 configuration with only 8 GB of RAM, a 1 TB HDD, GTX 1060 graphics and a FHD 60 Hz display. 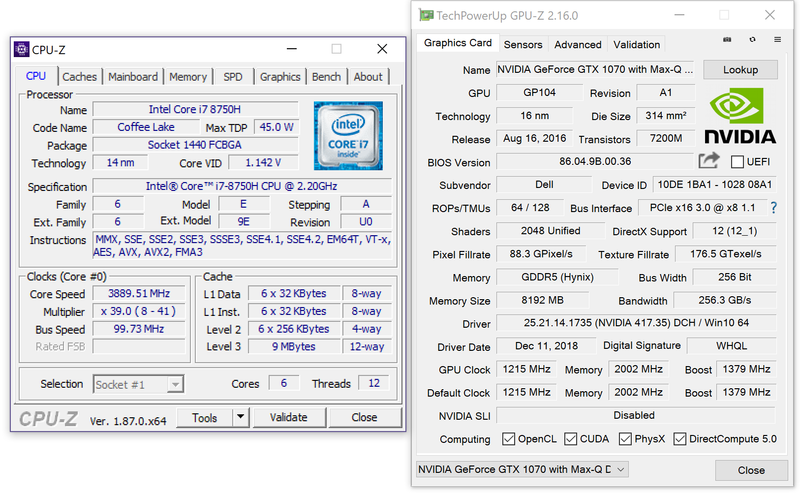 The FHD 144 Hz screen is an extra $100, the GTX 1070 Max-Q costs about $200 on top and adding RAM and storage won’t be cheap as well, but you can easily do these yourselves. 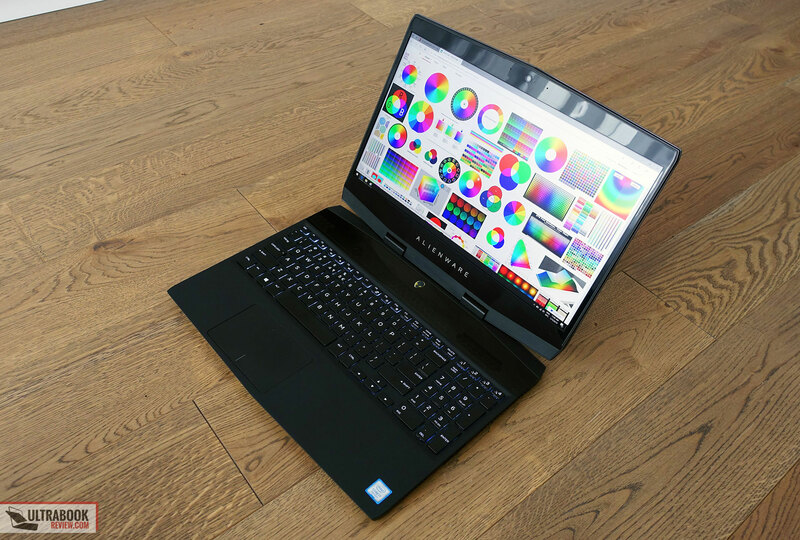 The UHD screen costs an extra $250 on top of the base-model, but like mentioned throughout the article, that’s just not an option I would recommend for this laptop. All these configurations will also get RTX graphics from the end of January 2018, with RTX 2060, RTX 2070 Max-Q and 2080 Max-Q chips, and I’d look into some reviews to find out how they performs inside this chassis and whether they’re worth paying extra for. 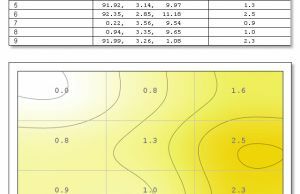 Follow this link for updated configurations and prices at the time you’re reading the article. 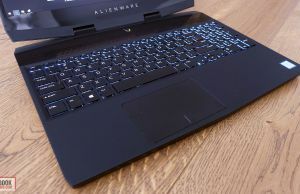 The Alienware m15 is definitely competitive in its class of compact gaming laptops, but is at the same time nor as small or as light as the competition, nor as nicely polished, due to is thicker bezels, sharp edges and the glossy plastic pieces that make little sense on such a computer. Nonetheless, I’d reckon many of you would be able to live with these quirks for the extras you’ll get with this computer and might not with the others. 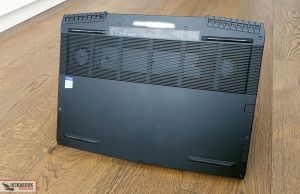 The list includes a sturdily built chassis, a full-size keyboard with NumPad, an almost complete set of ports (no card-reader though), a large battery and capable 144 Hz IPS screen, excellent performance on the CPU side, once undervolted, and the ability to easily access and upgrade all the components. These are corroborated with a competitive price that slots the m15 right in the middle of the pack. Potential buyers should however also consider the series’s other flaws, and among them are the fairly noisy fans and the fact that the components and outer-shell run hot with demanding loads, the mediocre speakers, the lack of an SD card-reader or the lack of per-key RGB lightning. 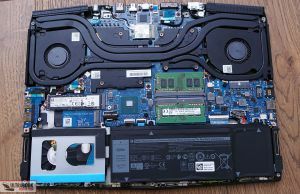 On top of that, you should be aware of the various QC issues that have been plaguing many Dell and Alienware laptops in the past and still do these days, which include problems with the wireless implementation, coil whine, panel quality, sleep and DPC routines. 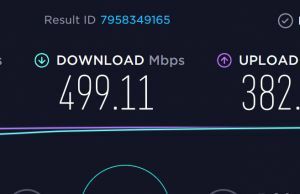 Dell’s support is however better than most, and you should be able to address most of these, or just return your unit in case you end up with a complete dud, as long as you buy from Dell or other reputable stores. 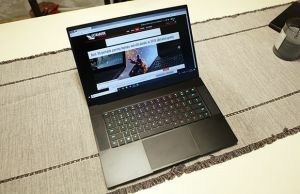 As far as those alternatives, the list includes devices like the Razer Blade 15, Gigabyte Aero 15, MSI GS65 Thin or the Asus ROG Zephyrus lines, each with their own share of strong points and quirks. We’ve talked about all these options in this other article, but if you have questions about any of them, or anything to add to our review of the Alienware m15, get in touch in the comments section below, we’re around to reply and help out if we can. 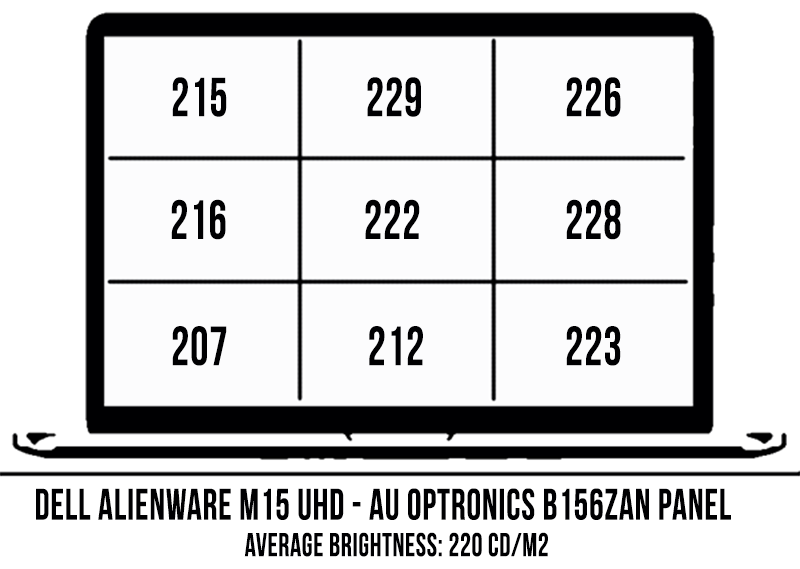 All in all, the Aliewnare m15 might not be the best thin-and-light gaming laptop money can buy right now, but for some of you, it could just be that value-buy that would best fit your requirements and budget. It gets our recommendation, but only as long as you opt for the 144 Hz screen and 90 Wh battery, which we rate at 4/5, but we would not recommend the UHD screen option or the smaller battery variant that we had on our review unit.